Hood clip plate, brass. Metal pad that rivets to the hood. hood clips hook onto these. 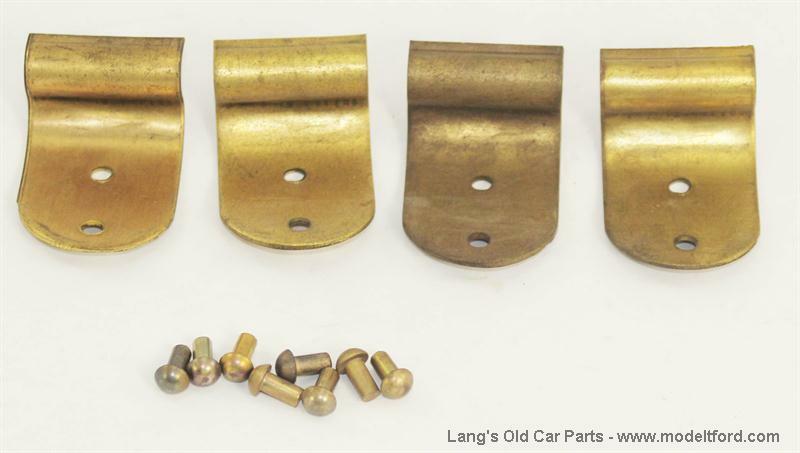 set of 4 pads with rivets.